Item # 311156 Stash Points: 8,495 (?) This is the number of points you get in The Zumiez Stash for purchasing this item. Stash points are redeemable for exclusive rewards only available to Zumiez Stash members. To redeem your points check out the rewards catalog on thestash.zumiez.com. 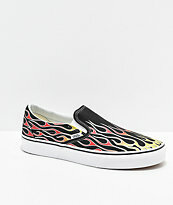 Step into a flaming hot rendition of todays high-fashion footwear with the Vans UltraRange Mash Up Flame Sock Shoes. 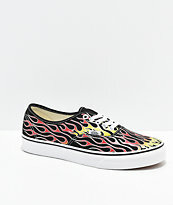 These fashion-forward shoes take influence from their skate background as well as todays most popular high-end trends. 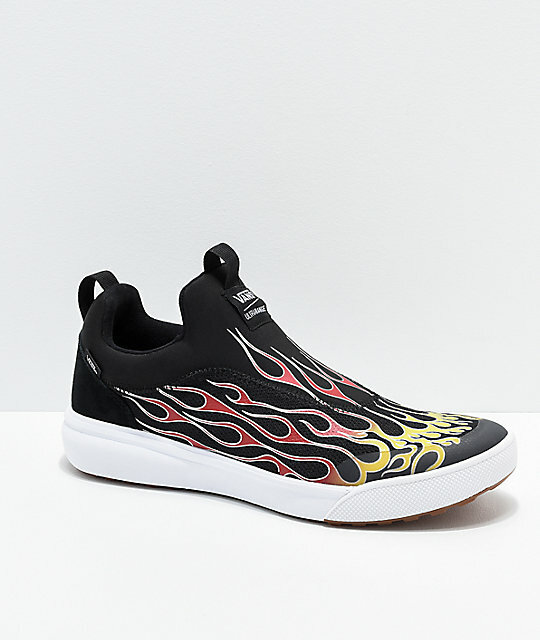 Featuring a sock style construction for comfort and breathability, these shoes offer a lightweight feel, perfect for active lifestyles. Finished off with an UltraCush Lite insole and midsole for comfort, and a cupsole construction, these will easily be your new go to kicks. 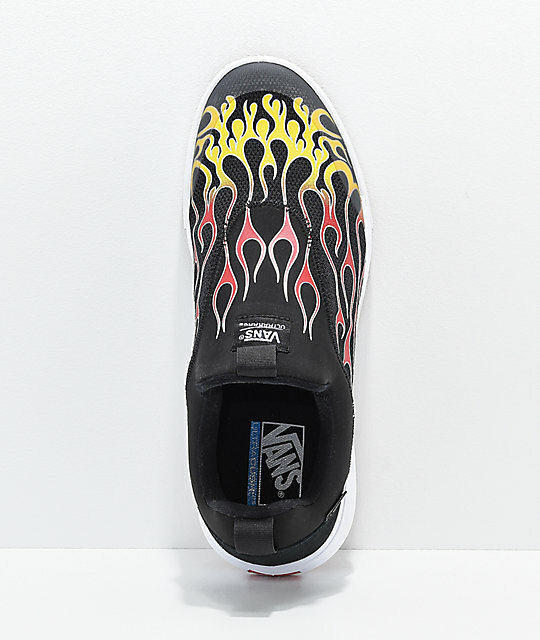 UltraRange Mash Up Flame Sock Shoes by Vans. Synthetic canvas upper with mesh toe. DURACAP rubber reinforcement around toe for durability. Classic Vans logo tags throughout. 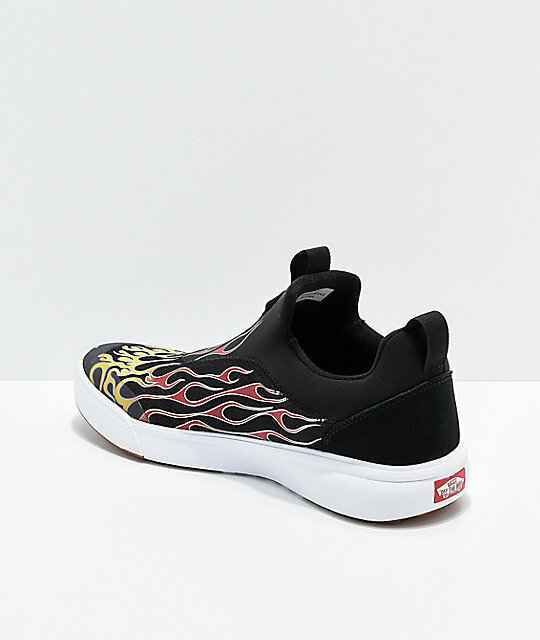 Woven tab on tongue and back of heel for easy on-and-off access. UltraCush Lite midsole construction for added comfort. UltraCush Lite footbed for added cushioning. 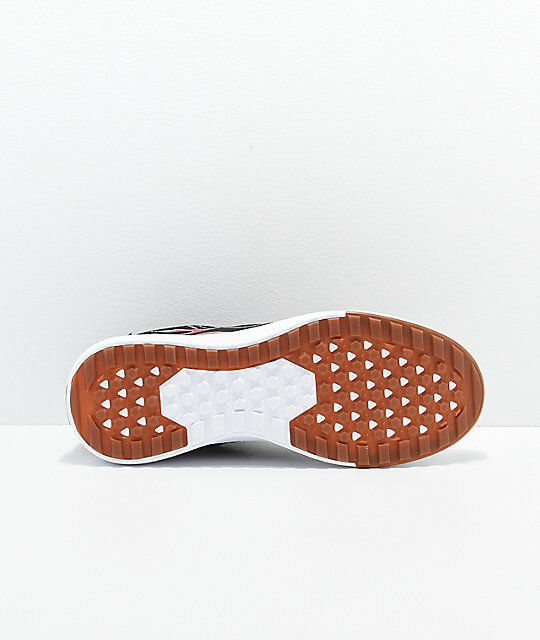 Vans signature waffle outsole for firm grip. Internal tongue gussets for snug fit.